Summer is a time for enjoying the outdoors and luckily for Brisbane, it’s summer almost all year long. Sunseekers have and always will flock to the Queensland capital, which enjoys a subtropical climate defined by warm weather most of the year. With almost 300 days of sunshine every year, the city of Brisbane certainly knows how to provide outstanding outdoor spaces. Rooftop bars, alfresco drinking and share plates are all the rage, so why not make the most of it? If you happen to be in Brisbane while the weather's still warm, be sure to check out some (or all) of Brisbane’s most exciting outdoor, summer bars. Perched atop the Pullman Mercure Brisbane King George Square, Sixteen Antlers Rooftop Bar offers an impressive view over City Hall’s clock tower, curated cocktails, a great selection of craft beers, and quality wines. A delicious menu of burger sliders, truffle Parmesan chips and other light meals complement the trendy bar scene. This fresh, nautical-themed bar and kitchen instantly transforms the central business district into a holiday hotspot that feels a million miles away. A one-of-a-kind waterfront location it offers spectacular food, picturesque views and plenty of tables for enjoying the afternoon sun. This simply has to be one of the city’s favourite outdoor establishments. Set atop a historic art deco building and located right on the seafront, Pilpel by the Sea offers the ultimate weekend hangout, complete with delicious tapas. Once used as a bathing pavilion it’s reached via a grand staircase and overlooks Sutton Beach, roughly a 40-minute drive from Brisbane. A delectable melting pot of Middle Eastern cuisine and yummy cocktails, it’s well worth the drive. Brewhouse is located in Woolloongabba and is locally owned and operated. It’s one of the most laid-back and friendly environments to find yourself in on a sunny afternoon, and the ever-evolving craft beer suite – which includes eight of their very own Brisbane Brewing Co beers on tap – will have you coming back time and time again. Take an elevator on Ann St and find yourself in Eleven, Brisbane’s most exclusive new night spot. Eleven is a place to escape from the hustle and bustle of everyday life and enjoy sweeping views over the city. Just be sure to dress well, as it hosts a strict dress code policy. Considered the cocktail kings of Brisbane, Canvas puts a twist on the classics and offers up an endless stream of surprises. Recognising the power of a good espresso martini, they even serve them up for breakfast! Canvas supplies a great selection of boutique wines and craft beer too, as well as what they like to call Spanish cuisine with a Southern California accent. It’s a place of shared comfort food in a rustic setting that will leave you feeling both satisfied and nostalgic. With a name like this you couldn’t pick anywhere better for outdoor drinks and nibbles with a few friends. Located atop Kangaroo Point’s, the bar sits twelve stories up and offers panoramic views of the city skyline and iconic Story Bridge. Open to the public every Sunday from 3pm, Eagles Nest serves up a range of tapas items complemented by delectable cocktails, wine and craft beer. Add some live music and there’s no better spot to catch the city’s spectacular sunsets on a Sunday. Sitting alongside a Miami-style infinity pool over Brisbane’s Queen Street Mall, Lennons Pool Terrace is a welcome city find. Wine, dine and lounge by the 25 metre pool until 10pm, with the bar running on until midnight. The Modern Australian food is a delight, the cocktails are delicious and every Friday you can rumba your way through a latin-themed Pooltino party with drinks and tapas to match! A stylish design forward boutique hotel in Brisbane’s Fortitude Valley, The Limes Hotel is an urban retreat complete with rooftop bar and cinema. Operating Thursday to Sunday it brings a “world city” feel to the Queensland capital and not only can you kick back in a jacuzzi, you can indulge in both new and old movies on an outdoor cinema screen! Sitting atop the new Tryp Hotel in Fortitude Valley, Up On Constance is a stylish oasis with forever views and its own elevator at the rear of a graffitied laneway. Sleek, modern and spacious it has a retractable roof and bi-fold windows making it an all-weather venue. Fruity cocktails are its signature with the Tryp House Punch a must. There’s also a small carefully curated wine list and draft beers that include James Squire’s One Hundred and Fifty Lashes and Stella Artois. 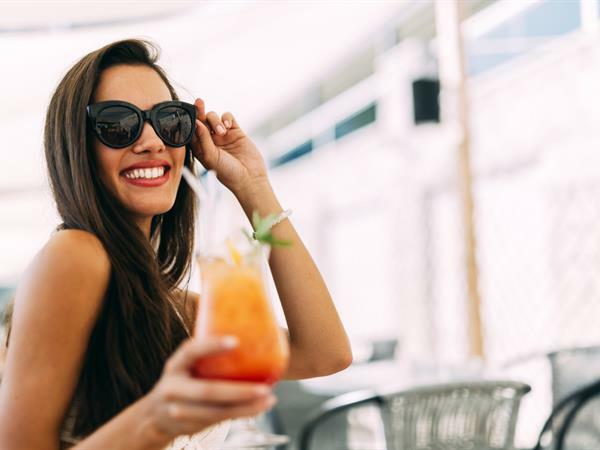 The area once known as the Bacchus Pool Bar has undergone a complete makeover and now calls itself the Soleil Pool Bar – a fresh summer spot in South Bank to be enjoyed sunrise to sunset. Relax on the deck or lounge in the main bar area while listening to DJs spin tracks and mixologists shake and serve a brilliant array of cocktails. Soleil Pool Bar is poolside glamour at its best, and the epitome of Brisbane fun. Despite being one of the first rooftop bars in Brisbane, Elixir still remains one of the city’s best kept secrets. Decor is a mix of sleek and natural, with a heavy marble-topped bar, cement tables, wooden benches and plenty of lush foliage. An urban oasis in the heart of Fortitude Valley its sophisticated specialty cocktails, extensive beer and wine list, and friendly staff make this a great hub for locals and tourists alike. Head there on a Thursday and you can indulge in “Ribs and Red” from 4pm – a plate of mouthwatering ribs and a glass of Cloudy Red Pinot Noir for just $20. Which one will you head to first? Brisbane is certainly home to an array of impressive outdoor bars and venues – so what better way to enjoy those long, warm summer nights than to kick back with a cocktail and watch the sunset over Brisbane city?